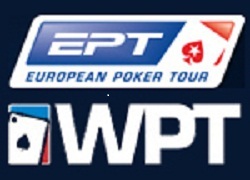 Two of the most popular and prestigious poker tournaments in recent years found themselves going to head-to-head recently, as the PokerStars European Poker Tour (EPT) Barcelona Main Event and the World Poker Tour (WPT) Legends of Poker Main Event took place within days of one another. In the end it was a TKO in the first round for the EPT, as they set an attendance record while the WPT Legends of Poker continued to see a decline in attendance as well as in prestige. A total of 1,082 players registered for the €5,000 Main Event at the EPT Barcelona, awarding the winner of the tournament over €1,000,000. Not only did the Main Event set an attendance record for an EPT event in Barcelona, but the tournament series itself was a huge success, with the €50,000 Super-High-Roller tournament drawing over 60 players(eventually won by rising star Dan Smith), and the concurrently running Estrellas Poker Tour Main event also drew over 1,000 entrants. The real winner at the EPT Barcelona was Ilari Sahamies, who finished 4th in the €50k High-Roller and 2nd in the Main Event, pocketing well over $1 million in prize-money. Meanwhile, in Los Angeles, the World Poker Tour was at the Bicycle Casino for the Legends of Poker Main Event for the eleventh time in the tour’s history. Unfortunately the downward trend for the Legends of Poker tournament continued this year, despite a reduced buy-in of $3,500 (this was the second year the Legends of Poker featured a $3,500 buy-in, down from $5,000 in 2010 and $10,000 for years prior to this), as well as the tournament allowing players eliminated on Day 1a of the tournament to reenter on Day 1b. In all the Legends of Poker Main Event attracted 622 entrants, down from the 757 entrants from the same tournament a year ago. While the EPT Barcelona was awarding €1,000,000 first-place prizes the WPT Legends of Poker could only muster a $500,000 first-place prize. So what does all this mean? Basically, poker in the United States is still in a waning period, and even though European poker isn’t exactly in boom, they are still capable of setting records and making headlines. One reason for this has to do with the poker economy; with European players still able to actively participate in online poker the pool of players for live tournaments is ever-growing, while US tournaments seem to attract the same fields at every stop – a slew of professional tournament players along with the usual crop of locals and satellite winners.